Phil Spencer: "I embrace the Scepticism People Might have Because of Games For Windows – Live"
Phil Spencer stated that he embraces the scepticism people have about gaming on Windows and that is why he’s avoiding fancy videos relying instead on releasing SDKs to studios. He states that they are “fully committed to expanding” across all Windows 10 devices, which is why the new unified Store is so powerful. It allows Xbox developers to “seamlessly move from Xbox to PC”. Games for Windows LIVE was, basically, a train-wreck for the PC gaming market. Initially it dared to bring its Gold subscription model to Windows where you’d have to pay monthly in order to enjoy multiplayer. Unless it’s an MMO or people enjoy the comfort of a dedicated server host, no one pays to play PC titles online. GFWL broke a golden rule, and they abandoned it. “I think Steam’s great, and they have a lot of my money – a large part of my games library is in Steam. Steam is very much a gamer’s store, but I think our Windows Store will start off with a diversity of content like the App Store or Google Play,” continued Spencer. Windows 10 is launching later this year as a free upgrade for all Windows 7 or 8/8.1 users. 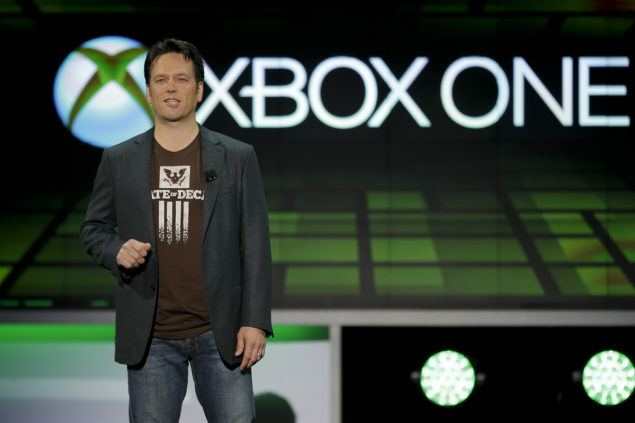 Microsoft has revealed it E3 2015 plans, and promises that E3 will give players the chance “see the greatest games lineup in Xbox history”.